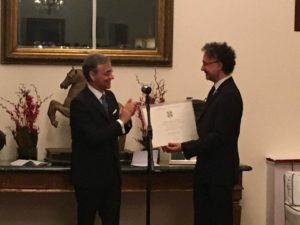 Early this year, Michele Geraci was awarded the title of Knight at the Order of Star of Italy (Italian: Cavaliere dell’Ordine della Stella D’Italia). The formal ceremony was held at the Italian Embassy in Beijing. Congratulations to Cristiana Barbatelli and Massimo Bagnasco who received the same award. Click to watch video. 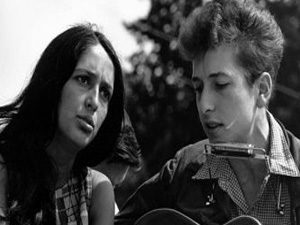 Bob Dylan wins Nobel Prize. He is now looking for a phone booth in the Midwest to call Joan Baez and tell her the good news. One of the greatest American poets, he has now become his own dream, Thomas Dylan himself. Two songs for to listen today : Lay Lady Lay, Blowing in the Wind, and the Guns&Roses version of Knockin’ on heavens door. And finally, for those of you who want to know what women thought of him, there is “Diamonds and Rust”. Geraci on CCTV Dialogue discusses the importance of enhancing mutual understanding of cultures in order to enhance China-EU relationship. He strongly emphasised the need for cross cultural learning to start at early age, high school or even earlier. 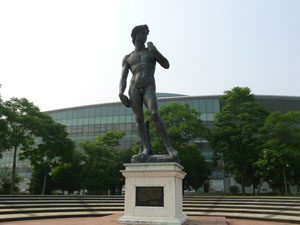 Without such early exposure, university students fail to grasp the differences and the challenges. In other words, starting at University is too late.